I only read the War with Whittaker book out of your list but am making a note of many of these reads. Your recommendations are always wonderful. The Gardam book is going to be my first choice! Gardam is certainly a good place to start – and her books are readily accessible, which is always nice! Thanks, Cathy. All the best to you in 2015. I too am very keen to get the Gardam. I discovered her about a year ago and adored Old Filth and its two companion novels. However The Small House is my least favourite of the wonderful Barsetshire novels. I can’t stand Lily Dale — just want to slap her. I fully expected to feel as you do about The Small House, so it was that much more delightful to discover I loved it! Thatis a lovely list. I have Jane Gardam lined up for 2015, and I’m so pleased to see Lucy Carmichael. I really, really loved Lucy Carmichael. Hopefully when I reread it (which could be as early as 2015), I’ll have enough free time to do justice to it! Thank you, Penny. All the best to you as well. I always look forward to your end-of-year list and never cease to find some gems. I’ve read through Framley Parsonage in the Barsetshire chronicles, and I’m looking forward to the next one even more after seeing it listed first on your list. I’ve really enjoyed Angela Thirkell this year and put the Ranfurly book in my wishlist after reading your review earlier. I also resonated with your busyness pushing reading to the backseat somewhat – that’s where I’ve found myself more and more this year. Great list! Happy New Year to you and your family, and Happy Reading! Thank you, Susan. I have such fun pulling these lists together each year. I am so, so happy to hear that you’ve had fun with Thirkell this year! Best wishes to you and yours for 2015. Finally I managed to find something by Margaret Kennedy (Troy Chimneys) and will be reading it soon this year. I re-read A Long Way from Verona this year too — so brilliant. Have a wonderful reading year in 2015! I read Troy Chimneys a few weeks ago and it is excellent (though much more somber than my darling Lucy Carmichael). I hope you enjoy it – it will certainly get your reading year off to a good start! Lovely list! I remember reading a line in The Small House about being 40, and it delighted me because I was 40 when I read it. I’m going to try to finish the six Barsets this year (some new, some re-reads) in honor of his bicentennial. I hope it’s a wonderful reading year for you too! What a fun reading year that will be for you! I can’t wait to read your blog posts while you’re working through the series. Enjoy. I walways look forward to your list, Claire. I’m very happy to see Lucy Carmichael there, and Barsetshire on there twice, in different centuries. I am determined to re-read The Small House and see if I feel the same way about it. Thank you for the Ernest Shepard recommendation, I enjoyed both books so much. And I have Old Filth on the TBR stacks. I love snooping through everyone’s lists at this time of year – glad to hear I’m not the only one! Enjoy Old Filth when you get to it. I’m sure you’ll love it. Eclectic and exciting books here! Thanks to your enthusiasm for Jane Gardam I read Old Filth and you know I loved it – I plan to read more of her in 2015. Happiest of New Years! Your 2015 reading year is going to be wonderful if it has Gardam in it! Enjoy and all the best for 2015. Terrific list. I’ve read some of them & have others on the tbr shelves. I plan to read more Trollope, Thirkell & Kennedy this year. Happy New Year! Thanks, Lyn. With those three authors in your reading pile, 2015 will be a great reading year for you! Oh, that is such a nice list – a mix of books I love, and books you make me want to read, The Virago Book of Women Gardeners, Cheerfulness Breaks In, The Small House at Allington and The Past is Myself are all wonderful. But I’ve never come across Shepard’s memoirs, which sound enchanting, and I keep promising myself I’ll read Margaret Kennedy and Jane Gardam. Then there’s Wodehouse’s Psmith, who I still haven’t read. I shall make this the year I raed all three of those authors! I’m glad you like it, Christine. And I hope you enjoy some of these books as much in 2015 as I did in 2014! Those books sound lovely! And a reminder to me that I really ought to start looking out for some Angela Thirkell. Mostly because your posts about her books make them so tempting. Happy reading in 2015! Thirkell is not for everyone but I adore her. Since Virago started reprinting her early novels, they are thankfully much easier to find. I hope you’re able to track them done and – more importantly – that you enjoy them! Lots of good-looking titles here! I recall I marked Drawn From Memory and The Past Is Myself to-read after reading your reviews here, and To War With Whitaker looks interesting too. And I’ve heard enough praise of Margaret Kennedy books lately that I’m thinking I’ll have to try one. 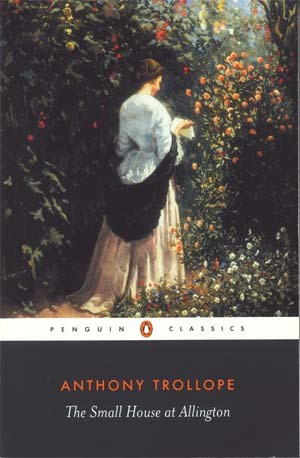 I must say, I love the fact that you have a 1864 novel by Anthony Trollope as your favorite read of the year. I read The Way We Live Now in 2012 and was quite impressed, and I’m planning to start with the first Barsetshire book sometime this year. I was looking at some of your previous years’ lists too, since I’m a newer reader of your blog, and I saw you had Fraulein Schmidt and Mr. Anstruther on one of them! I read that last year and loved it. 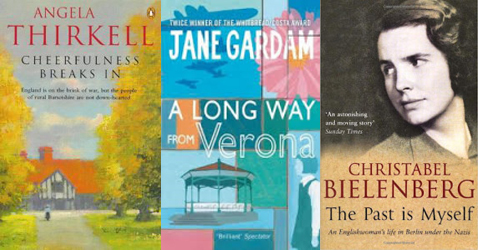 A Trollope novel has made my “Best of” list for the past three years – ever since I first started reading him – and I can’t see that changing soon. He is simply wonderful. And I’m glad to hear that you’re another fan of Fraulein Schmidt and Mr. Anstruther. I honestly think it is von Arnim’s best novel with obviously her most winsome heroine. I’m finding the wide range of titles being written about in year-end posts quite interesting. 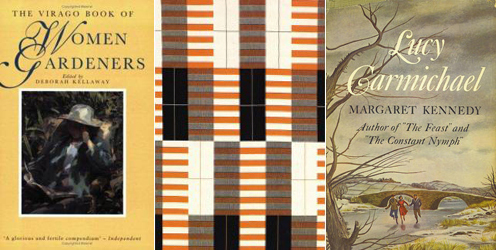 I haven’t read any of your favourites, Claire, but Margaret Kennedy was a wonderful discovery for me in 2014. 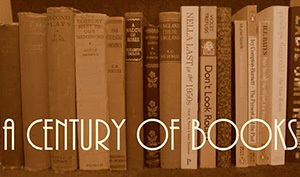 Here’s to another wonderful year of excellent books, new and old, to look forward to! I love how varied the “best of” lists are in our corner of the blog world – so much variety to choose from and so different from the industry and newspaper lists that myopically focus on recent publications! Your list is, of course, the one I always want to see! I’ve only read On The Other Side, which I thought was marvellous, but do have most of the others thankfully. And have just started reading Barchester Towers myself. I feel the same way about your list, Simon! And I cannot wait to hear what you think of Trollope’s Barsetshire!!! I know you’ll love the Shepard, Barb (both volumes, I suspect). And I’ll be very interested to hear what you think of The Past is Myself. It’s definitely a thought-provoking book. Wow, another favorite list where I haven’t read any of them. I’m finding so many new books today! Wonderful! Happy to have hopefully provided you with some reading ideas for 2015. Ooh, I will have to check out The Past is Myself. Hope you have a happy new year! It’s an extraordinary book. I’ve read it three times now and it never feels stale. Enjoy! Oh my, I also have much love for Psmith!! Have you read “Psmith, Journalist”?? That was a Wodehouse book that had me laughing out loud during almost every chapter.